above 20 suggests relatively high performance. A Bal./Disp. ratio of 40 or more translates into a stiffer, more powerful boat that will be better able to stand up to the wind. The lower a boat's D/L ratio, the less power it takes to drive the boat to its nominal hull speed. over 50 indicates an extremely heavy bluewater boat. Designed to determine if a boat has blue water capability. The CSF compares beam with displacement since excess beam contributes to capsize and heavy displacement reduces capsize vulnerability. The boat is better suited for ocean passages (vs coastal cruising) if the result of the calculation is 2.0 or less. The lower the better. 1 trapeze permitted for racing. 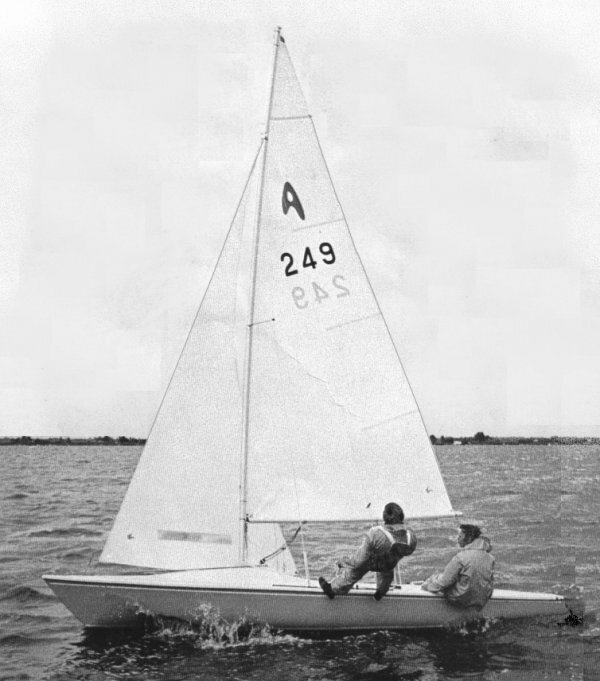 Alt version with fin keel & spade rudder. © 2003 - 2019 sailboatdata.com All rights reserved.